New research by the Insurance Institute for Highway Safety finds that the underride guards on semi trailers are safer than ever. However, real-world statistics hint that the improved parts might not be saving lives. In the latest round of tests, the trailers from Great Dane, Manac, Stoughton, Vanguard, and Wabash passed all three of the the institute’s evaluations and earned the IIHS’ Toughguard award for the companies. The agency checks how much punishment the underride guards can take by launching a vehicle going 35 miles per hour into their full width, 50 percent of their area, and the 30 percent at the end. Each test is more difficult than the last because the protective pieces have to withstand a greater force. The trailers from Hyundai Translead, Strick, and Utility passed the first two evaluations but failed the 30-percent test. 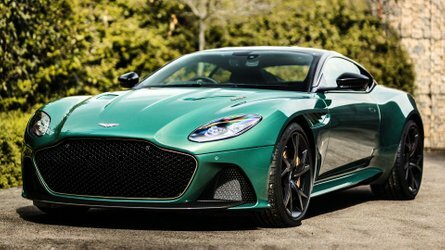 According to the IIHS, these companies will work on improving the designs, and the agency will check them again after the upgrades. The underride guard hangs below the rear of a semi truck and is supposed to stop a car from plowing underneath the truck during a crash, and the United States government mandates certain safety requirements for the parts. All of the examples in this evaluation apply to the rules, too. However, the IIHS, an insurance-company-funded group, found that the standards allowed the protective aids to buckle or break in come crashes. It stated conducting independent tests of the parts in 2011. "IIHS isn't a regulatory agency, and other than safety, there was no incentive for semitrailer manufacturers to make improvements," David Zuby, the Institute's executive vice president and chief research officer, said in the announcement. "When we started testing, we weren't sure how they would respond. These companies deserve a lot of recognition for their commitment to addressing the problem of underride crashes." U.S. Government data isn’t showing that rear-end accidents with semis are any safer, though. The Feds don’t specifically monitor underride crashes, but the death toll from hitting the back of big rigs is on the rise. These types of accidents caused 260 deaths in 2011 and rose to 427 fatalities by 2015 – a 39 percent increase. In the same period, the overall loss of life from incidents with semis are up 15 percent from 2,241 incidents in 2011 to 2,646 cases in 2015. Truckmakers are trying other methods to improve safety, though. For example, Samsung has an experimental rear-mounted display for letting drivers see what’s happening in front the truck. In the future, autonomous trucks like Otto could remove the human element from the profession, too. ARLINGTON, Va. — Five North American semitrailer manufacturers earn the Insurance Institute for Highway Safety's new TOUGHGUARD award recognizing rear underride guards that are designed to prevent a range of deadly underride crashes. Semitrailers from Great Dane LLC, Manac Inc., Stoughton Trailers LLC, Vanguard National Trailer Corp. and Wabash National Corp. earn the accolade. An underride guard is the metal bumper that hangs from the back of a semitrailer. The idea is to stop a smaller vehicle from sliding beneath a high-riding trailer in a rear-impact crash to preserve survival space for the people inside the lower-riding vehicle. All underride guards must meet federal safety standards, but IIHS research and crash tests have shown that many underride guards can buckle or break off in a crash. When guards fail, the resulting underride crashes often result in death or serious injury to people in passenger vehicles. The IIHS TOUGHGUARD winners have rear guards that prevent underride of a midsize car in three test modes — full-width, 50 percent overlap and 30 percent overlap. In each configuration, a midsize car travels at 35 mph toward a parked semitrailer. In the full-width test, which is the easiest to pass, the car strikes the center of guard head on. 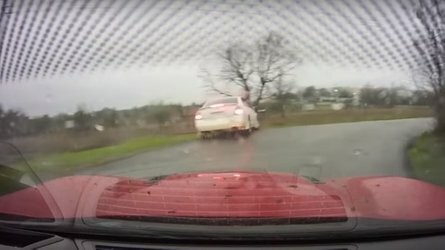 In the 50 percent overlap, half of the car's front end strikes the guard. In the toughest test, 30 percent of the front of the car strikes the trailer at its outermost corner. Underride guards are weakest at the outer edges of a trailer. The TOUGHGUARD award is the culmination of six years of IIHS research and testing. 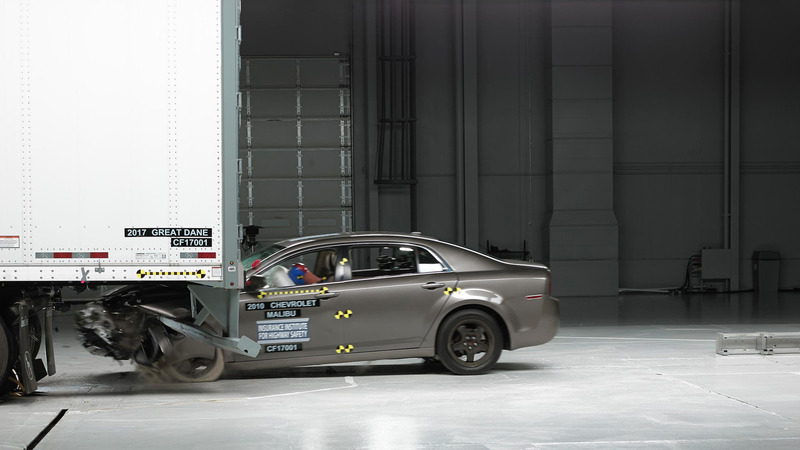 The Institute began its underride crash test program in 2011 and has since evaluated multiple trailers from eight of the largest trailer manufacturers in North America. In the initial round of evaluations, the guards on all of the semitrailers prevented underride in the full-width test. In the 50 percent overlap, 7 of 8 guards prevented underride. In the 30 percent overlap, only Manac's guard stopped the car from underriding the trailer. Great Dane, Stoughton, Vanguard and Wabash subsequently reworked their designs and asked for retests. The manufacturers used different countermeasures to toughen their guards. Stoughton, Vanguard and Wabash added vertical supports to the outboard edges, while Great Dane added larger fasteners to existing vertical supports to reduce the chances that the supports would be torn from the trailer. Great Dane also increased the size of the lower horizontal member of the bumper, which made it stronger. The new Great Dane design is the latest to be tested. All of the changes manufacturers have made exceed current rules in place in the U.S. and Canada, as well as proposed new requirements from the National Highway Traffic Safety Administration that would essentially align U.S. underride regulations with Canadian ones. Semitrailers from Hyundai Translead, Strick Trailers LLC and Utility Trailer Manufacturing Co. have passed the full-width and 50 percent overlap tests but not the 30 percent overlap evaluation. 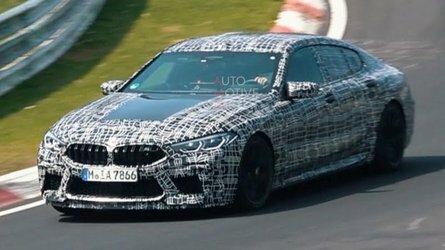 These three manufacturers are working on improvements, and IIHS will evaluate the new designs when they are available for testing. "IIHS isn't a regulatory agency, and other than safety, there was no incentive for semitrailer manufacturers to make improvements," Zuby notes. "When we started testing, we weren't sure how they would respond. These companies deserve a lot of recognition for their commitment to addressing the problem of underride crashes." 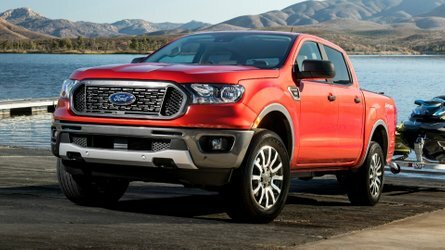 In a 2012 IIHS study of fatal crashes between large trucks and passenger vehicles, an estimated 15 percent involved the rear of the truck. 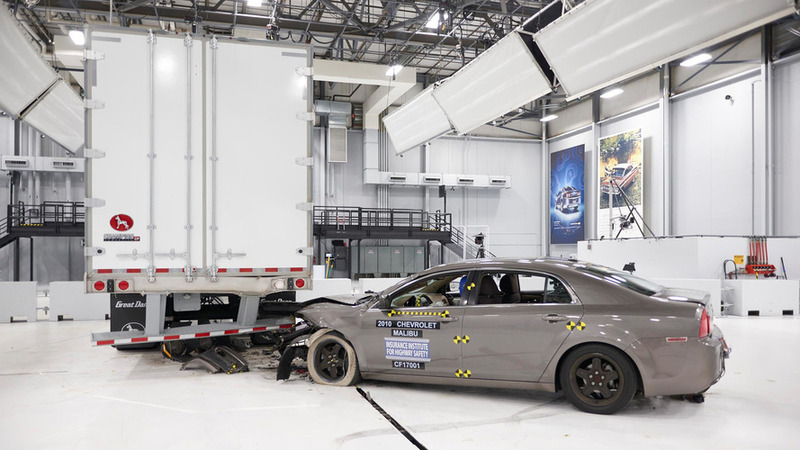 An IIHS analysis of a smaller sample of fatal crashes found that 82 percent involving the rear of the truck produced underride.